Saving the environment is no longer something that we can leave to future generations and, thanks to the work of the UN Intergovernmental Panel on Climate Change (IPCC) and Sir David Attenborough, awareness of this has never been greater. The IPCC warned in late 2018 that we have just 12 years to keep global warming to a maximum of 1.5°C, while Sir David’s Blue Planet II has done wonders for raising awareness of plastic pollution issues. 2019 is Year of Green Action, with the UK government encouraging environmental responsibility through the #iwill hashtag. While individuals can do much by reducing their use of plastics, water and energy, large companies are also in a powerful position to support the cause. Nor is it just a UK issue. Over in Spain, for example, leading Spanish home builder Taylor Wimpey España has been actively working to build more sustainable homes for some years. Located at La Reserva de Alcuzcuz, Benahavis (Malaga), Botanic is a leading example of this green ethos in action. 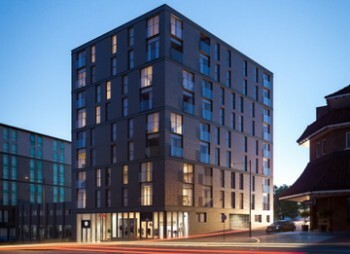 Sustainability, ecology and bioclimatic architecture are at the heart of the development, which consists of 92 bright, spacious three-bedroom apartments. In addition to environmentally sound construction elements (including solar panels, high quality thermal insulation and sound-proofing), the development features vertical gardens and green corridors that link each of the phases. This envelops the homes in a unique natural environment that respects the immense variety of local species and indigenous trees. At the same time, the properties themselves have been designed to maximise the natural light and spectacular views. The buildings use the varying height of the ground to optimise views across the mountainous landscape to the sea, while the incredibly generous terraces all face south to benefit from the abundant Spanish sunshine. At the top of the four-storey buildings, the impressive penthouses boast spectacular solariums. Internally, the rooms exceed market standards in terms of their space, while open plan design allows a beautiful flow between the kitchen, living room and terrace areas. Homes at Botanic are available from €375,000 plus VAT for a three-bedroom apartment. Leading Spanish home builder Taylor Wimpey España has announced big plans for the first half of 2019. The company will be launching six developments in the first six months of the year. Located in the Costa del Sol, Costa Blanca and Balearic Islands, the developments will provide a total of 330 superb quality homes, alongside a range of communal pools and other shared facilities. 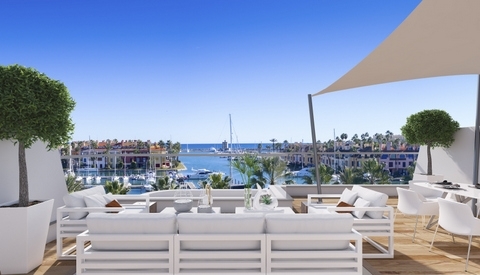 The success of Pier, the company’s latest Costa del Sol development, in the upscale Sotogrande area, shows the strength of the current appetite for Spanish second homes. Within four months of the development being announced, 30% of the 56 elegant, spacious homes have already been reserved. The sun is certainly shining on Spanish property in general at present. The volume of house sales has just hit its highest level in a decade, increasing by 9.7% in the year to September 2018, according to the Instituto Nacional de Estadística (INE). Meanwhile, experts at the Institut de Tecnologia de la Construccio de Catalunya (ITEC) have predicted that the current boom will continue until 2021 before beginning to slow down. Research from Savills shows that it is British and German second home owners who are currently snapping up properties in Spain faster than any other nation – a finding which Taylor Wimpey España’s own experience backs up. According to Savills, British buyers’ top three preferred second home locations in the world include two of the areas in which Taylor Wimpey España is active: the Costa del Sol and the Costa Blanca. 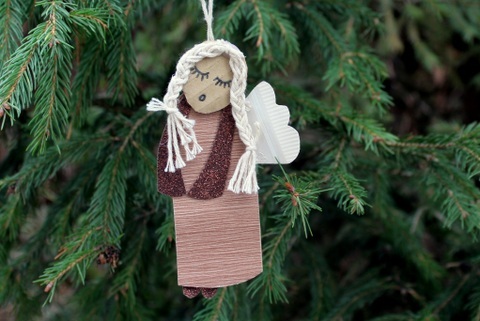 It seems that the old Christmas tradition of staying home with family for the festive period is fading fast. 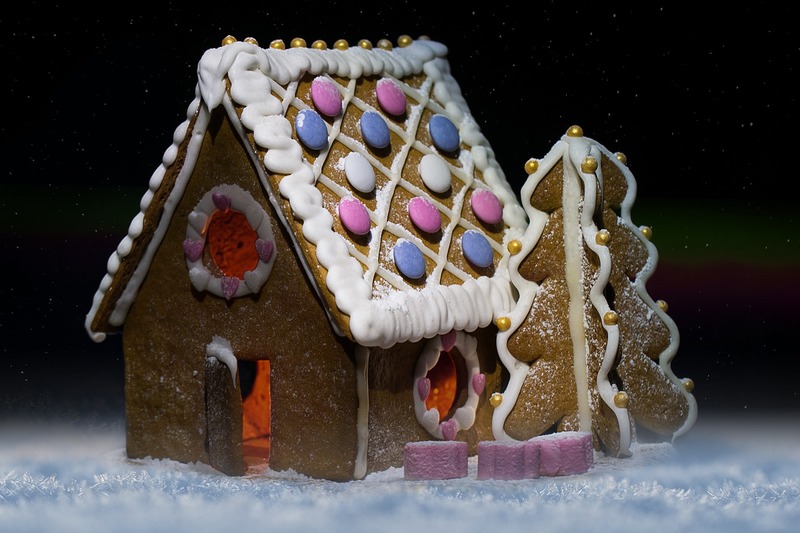 A Bolsover Cruise Club survey has found that just 33% of Britons want to spend Christmas at home. 25% want to spend it elsewhere in the UK, but the majority – an impressive 42% – would be willing to go abroad for their Christmas celebrations. The USA, Spain and the Caribbean top the list of countries that Brits would like to spend Christmas in, with sunshine clearly a priority for many. For leading Spanish home builder Taylor Wimpey España, the survey results make sense. The company has been building sun-kissed holiday homes across the Costa del Sol, Costa Blanca and Mallorca for 60 years and has seen many British owners – along with those from other countries – enjoy spending their Christmas holidays in Spain in that time. Of course, Christmas in Spain comes with the added benefit of superb weather for those in the Costa del Sol and Costa Blanca. While braving the icy waters of the North Sea or the Atlantic Ocean is a Boxing Day tradition for some of those in the UK, a more relaxed dip in the communal pool of a site like La Floresta Sur is likely to hold greater appeal to many. Located in Elviria, Marbella, the site is surrounded by natural beauty, from oak and pine forests to the ever-shifting splendour of the Mediterranean Sea. Key-ready homes are available from €228,000 plus VAT, with apartments providing spacious surroundings with plenty of outdoor space for making the most of the Spanish sun. From Dia de los Santos Inocentes (the Spanish version of April Fool’s Day) on 28 December, to super-sweet turrón and polvorón, Spain has a wealth of Christmas tastes and traditions waiting to be discovered, making it the ideal holiday destination for the festive period. Is moving to Spain the secret to longer life? Spain is on target to become the country with the world’s highest life expectancy, according to the US-based Institute for Health Metrics and Evaluation. The average Spanish lifespan is projected to hit 85.8 years by 2040, just surpassing Japan’s 85.7 years. The researchers believe that one of the key factors behind the longevity of those in Spain is their UNESCO-recognised Mediterranean diet. Spain’s climate allows its people to grow an abundance of fresh fruit and vegetables throughout the year, while its extensive coastline and superb arable land means that the country also has plenty of locally sourced fish and meat. 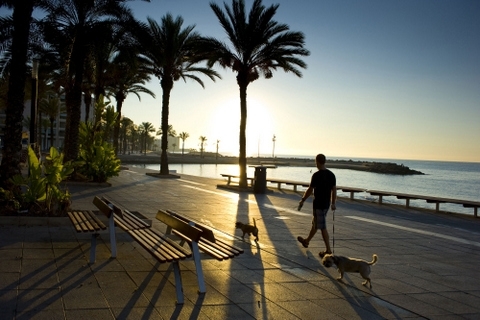 Spain’s balmy climate is associated with a range of health benefits too, with sunshine proven to do everything from lower high blood pressure and protect against inflammation to improve brain function and combat depression. Sunlight can even help to stave off conditions such as dementia, prostate cancer and heart disease, where low levels of vitamin D are a contributing factor. There is much to gain by moving to Spain and it seems Brits are well aware of the fact, according to the recently published AnyVan International Dream Moves survey. A full 13% of respondents picked Spain as their number one choice of destination when dreaming of a move overseas, making it the top pick of any country. Leading Spanish home builder Taylor Wimpey España works with clients who are turning their fantasy of a move overseas into a reality. With developments dotted along the Costa del Sol and Costa Blanca, along with a smattering of locations in Mallorca, the company is well placed to serve those looking for their dream home in Spain. Green Golf, for example, combines the best elements of all that the Costa del Sol has to offer. Located at Estepona Golf, the development lies just 3 km from the nearest beach, while on-site pools and beautifully landscaped communal gardens ensure that there is plenty of space for residents to relax and enjoy their leisure time. Individual properties benefit from generously proportioned terraces. 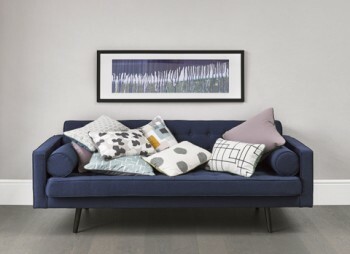 Interiors, meanwhile, are spacious and stylish. Prices start from €280,000 plus VAT. House prices are another plus point for those contemplating a move to Spain. The market offers a healthy, stable environment in which to buy. Annual house price rises now stand at 7.2%, according to Spain’s National Statistics Institute (INE), while Tinsa has projected a rise of between 5% and 7% for the year ahead. Leading Spanish home builder Taylor Wimpey España has shared some insights into what we can expect from the Spanish property market in 2019. The predictions come off the back of Tinsa’s forecast that Spanish homes will enjoy an average price rise of between 5% and 7% over the course of 2019. 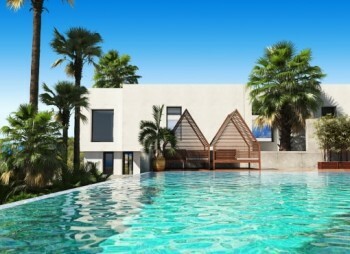 The three key regions that are like to continue to capture holiday home buyers’ attention in 2019 will be the perennially popular locations of Mallorca/Ibiza, the Costa Blanca and the Costa del Sol. In response to keen buyer demand, Taylor Wimpey España will be investing substantially in all three regions over the course of 2019. In particular, the Taylor Wimpey España team has highlighted the Costa del Sol’s Sotogrande as a top 2019 hotspot. The company’s brand new Pier development there was already 30% sold by the time construction commenced, highlighting how popular the high end two and three-bedroom apartments are likely to be in 2019. For those looking for something larger, Pier offers the option to purchase two homes prior to construction in order to convert them into a single, spacious four or five-bedroom home. Offering marvellous views of La Marina de Sotogrande, Pier is a private, gated community that comes complete with pools and garden areas. Green Golf, further along the Costa del Sol at Estepona, also benefits from on-site pools and pretty landscaped gardens. 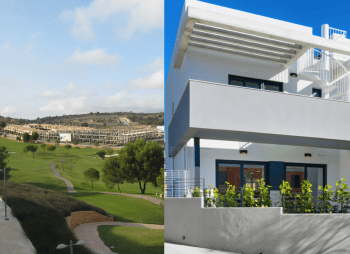 Taylor Wimpey España expects that golf properties such as Green Golf, with its stylish houses with large terraces, will be big news in the coming year. Taylor Wimpey España believes that Spain will certainly do what it can to continue attracting British buyers, as well as courting British tourists in the post-Brexit era. Quite how that will work is, at present, anyone’s guess. However, even without British buyers in the equation, Spain is looking forward to a healthy, successful 2019, at least as far as its property market is concerned. Buy in Spain for a better life in the sun! Spain has some of the best beaches in the world and ranks second globally for quality of life in terms of the experience of living there. Pair that with a booming property market, with values increasing faster than those in the UK, and it’s easy to see why so many foreigners are keen to buy homes in Spain. The HSBC Expat Explorer Survey quizzed a staggering 22,000 expats on their experiences of working and living abroad. A total of 27 areas were considered, split into three categories: experience, family and economics. It was in the experience category, which includes factors such as health, security, integration and culture, that Spain ranked second globally. In terms of its beaches, Spain has more Blue Flags than any other country, with 696 in total, as a result of the quality, safety, management and environmental credentials of its sandy shores. Spain’s beaches do much to draw tourists to the country, along with its fantastic cities and Mediterranean diet, which UNESCO has recognised as part of the region’s intangible cultural heritage. Visitor numbers for the 2018/19 winter season are already looking promising, with NOVASOL reporting a 15% increase in bookings compared to last year, making Spain the most popular self-catering holiday destination of the season. For those who want more of a Spanish connection than just a week or two, leading Spanish home builder Taylor Wimpey España has some beautiful, key-ready properties on the Costa del Sol and Costa Blanca. On the Costa del Sol, Green Golf provides the perfect setting for relaxation. The views of Estepona golf course and the coastline just 3 km away are absolutely stunning. The smart townhouses offer spacious, homely living environments, with plenty of private outdoor space for enjoying the sunshine. There are also lush communal gardens and swimming pools on the site. Prices start from €280,000 plus VAT. Meanwhile, a little along the coast at Villajoyosa, Costa Blanca, the lovely La Vila Paradis development is home to frontline beach properties that provide direct access to Paraíso beach. Communal pools and pretty grounds complement the stylish homes of this gated development. Prices start at €285,000 plus VAT. The latest housing market figures from Spain’s National Statistics Institute (INE) certainly bear that out. In September 2018, properties registered in the Spanish land registers were up 7.7% compared with the year before. In the Andalusia region, the increase stood at 15.3% for the same period. The takeaway from all this? It’s simple: buy in Spain for a better life in the sun!